I keep seeing people doing these Throwback Thursday posts on their blogs and Facebook and I decided that I would throw one back out here. This throwback is from before I was born. 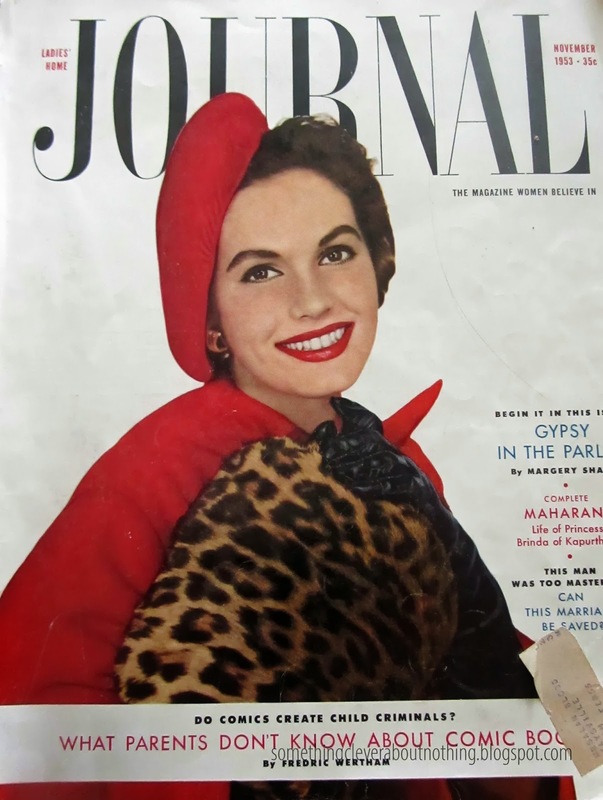 My neighbor brought over a November 1953 copy of Ladies Home Journal. Check out the cover. Beautiful woman, lots of great red lipstick, I think she could easily be on the cover of a magazine today and be considered in style. Funny how those things come back around. like this lovely *gag* creation! Did anyone ever eat this creation in their early days? Please tell me it tasted better than it looks because I think I'm going to go find the bathroom. 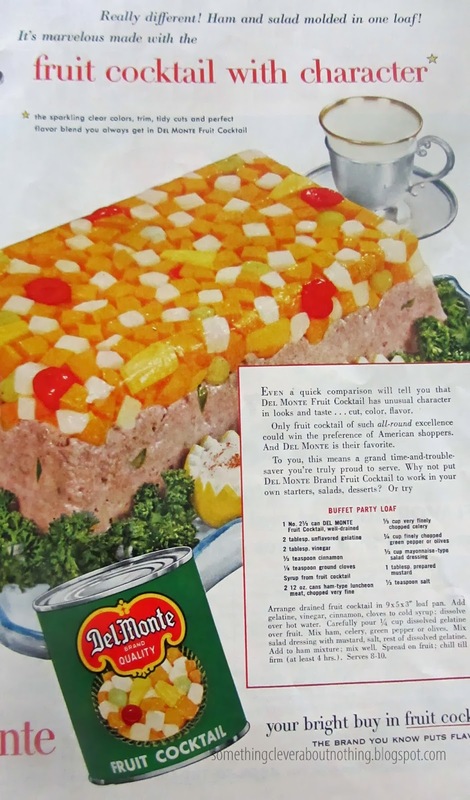 I hope this recipe doesn't come back in style! LOL! That is pretty nasty. I was lucky to have a mom who cooked real food, mostly grown on our farm. Jello was reserved for tummy ache time. Bleah! No, never had that dish. Mom must have not got that issue! I always disliked that fruit cocktail. She made a cake with it and also threw it into jello. Yuck! Great Throwback! The cover girl is beautiful! I love the throw back Thursday theme! Mom was a simple cook. So we didn't have that and you were right. I looked at it a "gag."